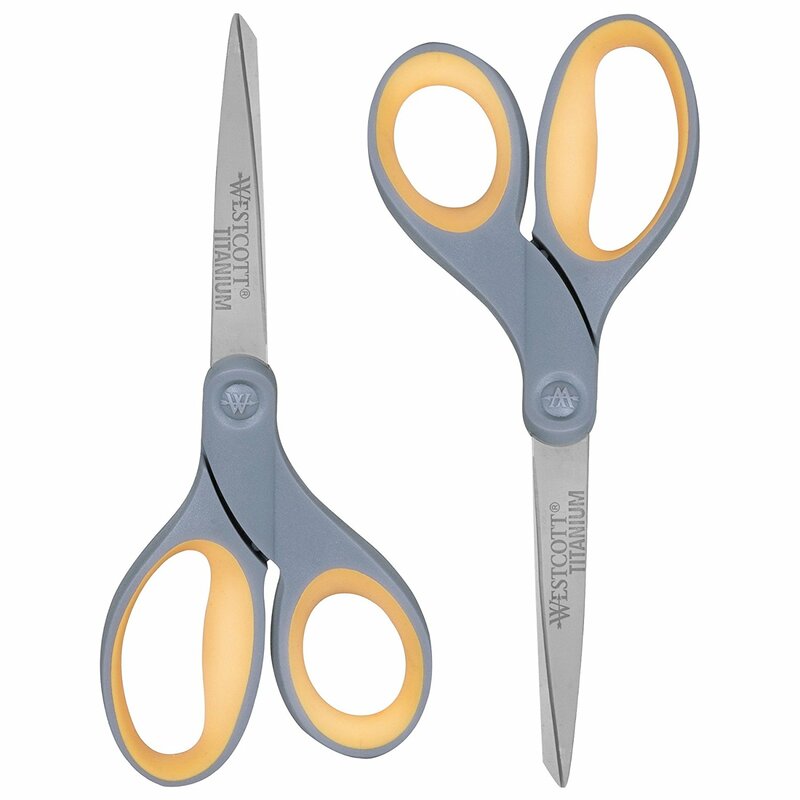 Savvy Spending: Amazon: highly rated Westcott 8" Straight Scissors 2 PACK for just $4.33! HURRY! Amazon: highly rated Westcott 8" Straight Scissors 2 PACK for just $4.33! HURRY! Amazon has the highly rated Westcott 8″ Straight Titanium Bonded Scissors in Grey/Yellow, 2 Pack for only $4.33 right now! This is the lowest price on record for these! We own these scissors and they are GREAT! Hurry, price can change at anytime!